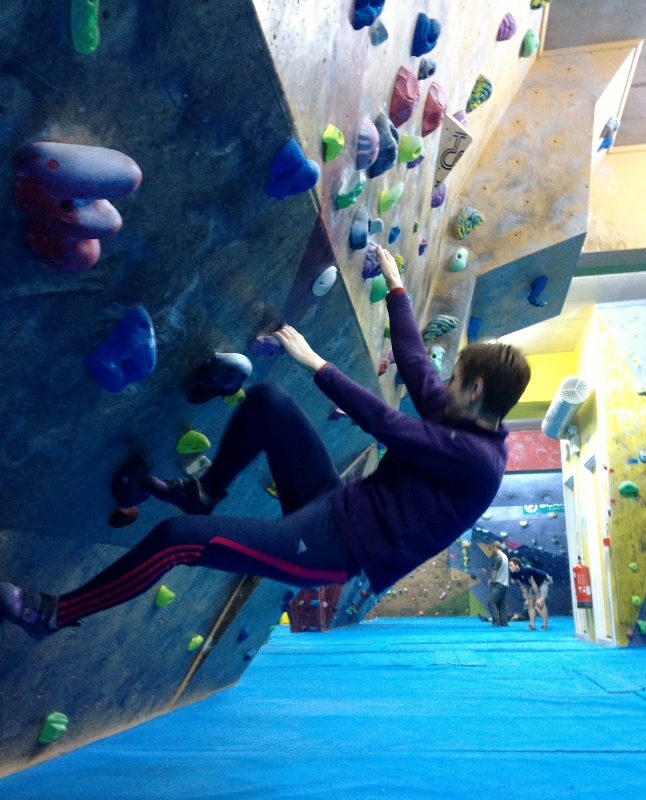 Bouldering, what is it and where can we do it in Bristol? Bouldering is a type of rock climbing, that involves no harness or ropes. It consists of short climbs (called ‘problems’), no higher than 3-5 meters, and is done with the safety of a crash mat to soften any falls. It is done outdoors on real boulders and the lower parts of rock faces, and also in custom build indoor centres, which is where we do all of ours. Irina and I have been bouldering on and off for a couple of years now, and pretty much all of it is done at The Climbing Academy in Bristol. It’s a huge place with lots of great interesting walls and angles to climb, has a relaxed atmosphere (there are always people of all levels any time we visit), superb cafe and nice changing and washing facilities. The staff are really helpful and I can’t recommend it enough to be honest! Once you get into the sport, there is a grading system to help you progress and push yourself. We love it and haven’t been for a while… now where did I put my chalk bag and climbing shoes!